Smart farming has already becoming a reality. Farms and corporations collect vast amount of information regarding crop yields, soil-mapping, weather data, fertiliser use, machinery, and animal health. Monitored data includes animal body temperature, animal activity, tissues resistivity, and GPS location. Agriculture sector aims to optimise processes, use of resources, and efficient use of remaining arable land. This can be made possible by implementing high level Internet of Things (IoT) applications. 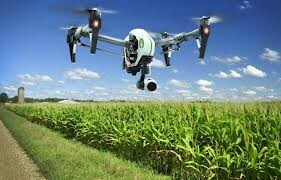 Intelligent farming can increase production and agriculture quality levels. Precision agriculture is now the norm in the majority of professionally managed farming operations in the United States and is rapidly gaining traction even in remote corners of the globe. Installing sensors in the fields can provide invaluable data about the soil and the plants. This data can be later used to prevent diseases. Real information about harvesting, planting, and yields can help farms to predict property value giving unparalleled insight into commodities market. Savvy analysts gathering big data are seeking a range of opportunities to improve food systems and reduce waste. Resource productivity savings have estimated worth of $340 billion per year. It’s a massive sector with growing business opportunities. Depending on the channel, successful systems can be put in place either at the farm or the supply-chain infrastructure level to increase productivity, reduce waste, and improve ecology. One size does not fit all. Fortexis, a boutique focused on structuring ag and real asset investments, explains that avariety of investment structures — whether they be closed-end funds; REITs; exchange-listed funds; SPVs — are deployed to raise capital in the sector. Some large SWF’s and pension funds invest almost exclusively through direct or co-investments; certain family offices and institutions seek club-deals of co-investment structures; many fund managers’ corporate governance allows them to invest solely in offshore funds, and there is a growing number of investors that invest only on a deal-by-deal basis, matching specific opportunities with the right fit and flexibility into an SPV. There simply is not one best structure to facilitate the successful capital raising for these ventures. The most important issue is to identify and determine the investment opportunity(ies) with as much specificity as possible. Large institutions are seeking solutions to particular portfolio requirements, and approaching them with a pre-specified product/structure, therefore, is sometimes akin to putting the cart before the horse. Author: Ben Funk, is an investor, advisor, and entrepreneur. He is Managing Partner of RockBolt LLP and serves as a Senior Advisor to a select group of investment and agricultural firms, globally. Mr. Funk served as a Partner at Tages Capital and Liongate Capital Management. He has a PhD from London Business School and is a Fellow of the Aspen Institute. Ben Funk is a London based investment professional focused on asset management and agriculture.